Museum of the City of New York - Dinner, to Mark Twain in Honor of his 70th Birthday at Delmonico's on December 5, 1905. Dinner, to Mark Twain in Honor of his 70th Birthday at Delmonico's on December 5, 1905. 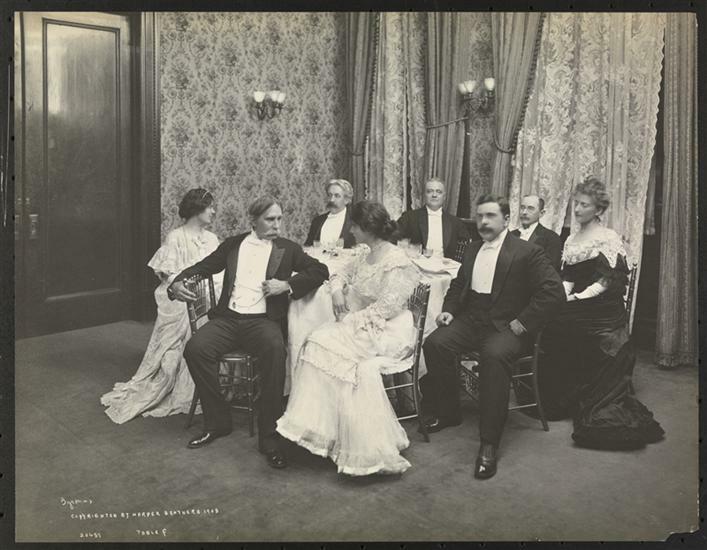 Group posed at a table at the dinner given to Mark Twain in honor of his 70th birthday at Delmonico's. This group is "Table F," including Florence Wilkinson, Richard Watson Gilder, George Cary Eggleston, Miss Clemens, Alfred Henry Lewis, Sydney Adamson, John Uri Lloyd and Anna McClure Sholl.